Hippies. Herbie. The love bug. A vase on the dashboard. Peace. 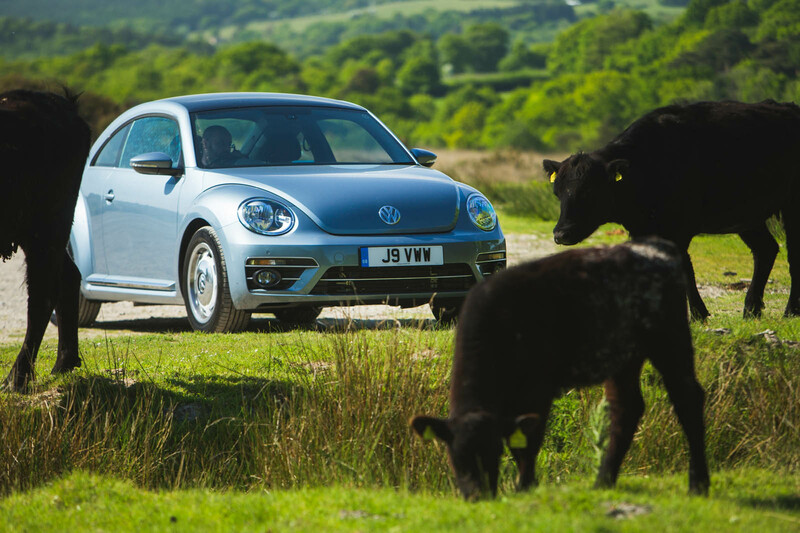 Bug jams, runs to the sun: the Volkswagen Beetle. The most cherished, most popular car on earth, with 21 million of these arch-backed vehicles made during a 65-year lifespan. 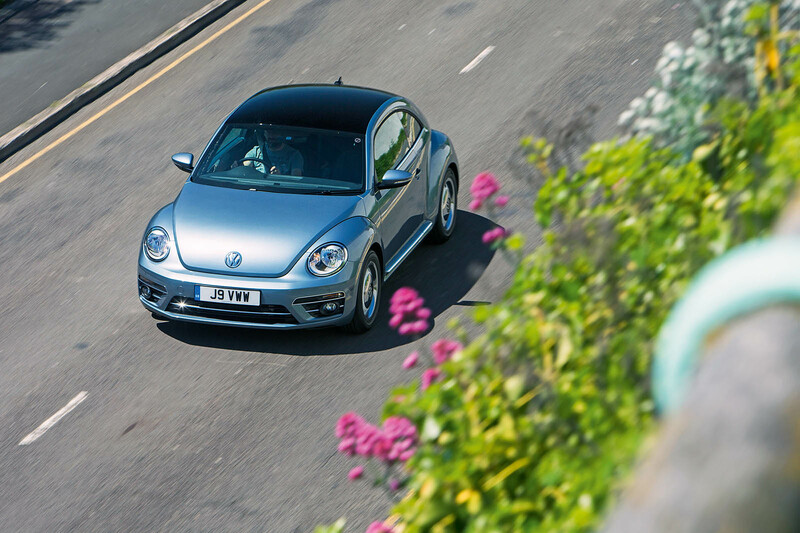 A car so loved that even before production of the original Bug ended in 2003, it was already being celebrated via its cuddly 1998 replacement, VW’s ‘new Beetle’. How is it that something born during one of darkest times in human history – not just envisioned, but commissioned and championed by the worst person to have ever lived – came to represent love, optimism and hope more than, perhaps, any other commercial product? I doubt it’s possible to overstate the grimness of the Beetle’s first few years. Adolf Hitler wanted to create a car for the masses and the Ferdinand Porsche-designed KdF-Wagen, the ‘strength through joy’ wagon, was it. It got its public debut in February 1939 at the Berlin motor show. Directly afterwards, cars were test driven by the media between Berlin and Wolfsburg, which today is Volkswagen’s home town. Sometimes motoring hacks grumble to each other about who they’ve ended up sharing a car with on a launch, but every journalist on the KdF-Wagen drive got an SS officer. Among the journalists was EJ Pratt of The Autocar. He liked the car’s affordable price, but found the rear- mounted engine didn’t heat the cabin effectively in the winter weather. Like arguably too many in the late 1930s, he mostly overlooked the politics of the time, though noted the powerful brakes were “helped by the German method of driving, which is never to stop till you are forced to”. On sale for 990 Reichsmarks, the KdF-Wagen was to be available via a weekly savings scheme – five Reichsmarks a week would get Germans into one. It was simple to fix and air cooled because air neither freezes nor boils. After that, the KdF-Wagen’s story reflects the darkness of the time. In September 1939, Hitler invaded Poland and war was declared. The factory’s German workers would later be seconded to build the Atlantic Wall, with the Italian fascist party sending 2400 replacements. The plant began making Junkers-88 wings and in 1940 Polish women were transported to it to make drop-tanks for aircraft, while construction of the VW 82 ‘Kübelwagen’, the open- roofed military version of the KdF, began. By 1944, Jews were being transported from Auschwitz- Birkenau to build Fi-103 flying bombs. A month later, they were sent to Tiercelet concentration camp. In early 1945, with the allied forces advancing, the SS was clearing workers’ camps, sending inmates to Bergen-Belsen, before American troops occupied the ‘Stadt des KdF-Wagens’ in March of that year, liberating forced labourers and later setting up a maintenance works for allied military vehicles. The rest of the story is better known. On 5 June 1945, the plant was handed over to Major Ivan Hirst of the Royal Electrical and Mechanical Engineers. By the end of the war, 336,000 Germans had signed up to the KdF savings scheme, but not a single car had been delivered through it. Thousands of Kübelwagens had been made during the previous six years, but only dozens of saloons, so the British military government commissioned 20,000 VW saloons be built to meet transport needs during occupation. Hirst restarted production and, later, the VW’s design and tooling were offered for sale to British car makers. None were interested in it, reckoning they wouldn’t be able to make a sales success of the car. They were wrong. In 1949, VW ownership returned to the German government; by 1950, 100,000 Beetles (or Type 1s, as they were officially known) had been built. The millionth example rolled off the production line in 1955. Simple to fix, in plentiful supply, easy on petrol, cute to look at, and brilliantly advertised through campaigns like ‘lemon’ and ‘think small’, a million Type 1s were being made each year by 1971 and the car was so adored that The Love Bug had grossed £39 million at the box office. If you wanted a small, cheap, reliable car to bum around California in, the Bug was it, its infelicitous start in life largely forgotten. And so, when it was replaced by the ‘new Beetle’ in 1998, that car had a flower holder on the dashboard. 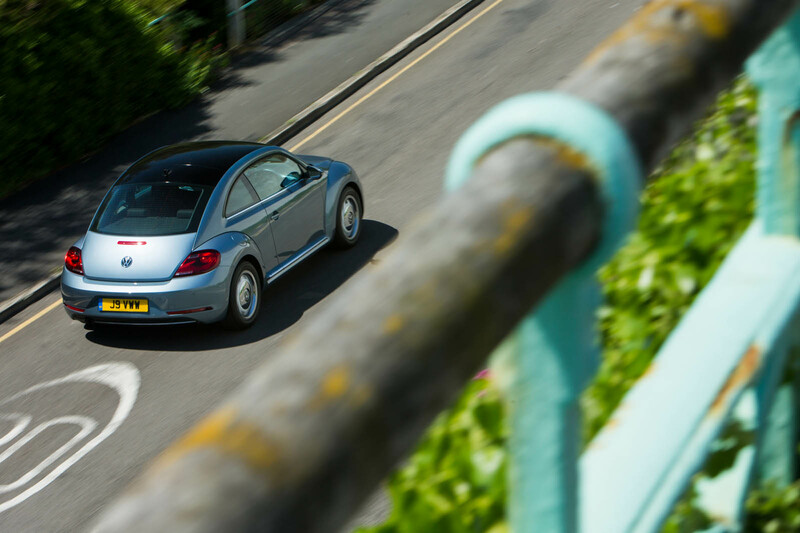 The third version, driven here, arrived in 2011 and was unusual in being officially called Volkswagen Beetle. And now it too is going out of production, with no replacement imminent. You can still find one new in the UK, and production goes on until next year, but VW has stopped taking orders. So where to take one for a last drive? And what it is like? First question: to the seaside, south coast, because it’s sunny and peaceful and chilled and if you squint it could be SoCal. Plus, I like a Cornetto. Second question: it’s a bit like the old Golf, only less spacious. But still, I rather like it. This one’s a 1.2 turbo with an easy power delivery, a sweet gearshift and a gentle ride afforded by retro wheels with large sidewalls. The interior’s halfway to cute – there’s a slab upper dash reminiscent of the original’s, complete with diddy glovebox – but otherwise it’s just functional. And although it obviously resembles a Beetle, it hasn’t quite struck the same chord as the Type 1 or the ’98 car. It isn’t a total pastiche, which is commendable, but neither is it as sweet as a new Fiat 500, nor has it forged its own new identity like Mini has. So it’s off. That’ll be it. 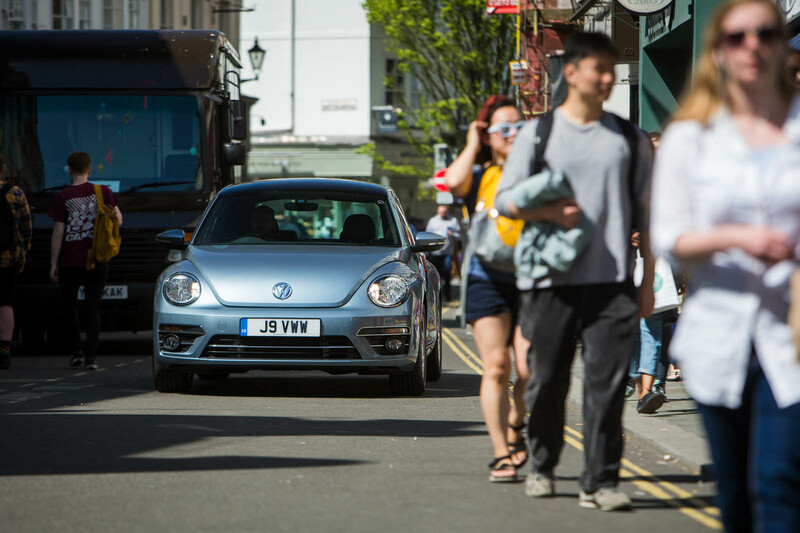 After 80 years of, in one form or another, ladybird-backed Volkswagens being produced, as of next year they’ll be no more – a fact that perhaps warrants more attention than it’ll get. What’s next, then? At the moment, nothing. But the Beetle could be back, as a four-door, battery-electric vehicle, as part of VW’s upcoming ID range of EVs. It’d be Beetle-shaped and once again with the motor driving the rear wheels. With, this time, optimism from the outset. TYPE 2: On a visit to Wolfsburg, VW dealer Ben Pon was inspired by a parts mover based on a Type 1 platform. His sketch helped VW engineers create the Type 2 Transporter. KARMANN GHIA: Nearly half a million of these coupés and cabriolets were built between 1955 and 1974. It wasn’t particularly fast, but the 2+2 sports car was low and pretty. HERBIE: He wins races in more unlikely fashion than cars in The Fast and the Furious franchise, but Herbie is a sentient Beetle who, apparently, knows right from wrong. MEYERS MANX: With an easily separated floorpan and mechanicals that came with it, the Beetle was ripe for modifying. Bruce Meyers’ ‘Manx’ was the first of the Beetle-based buggies. TAMIYA SAND SCORCHER: Beetles competing in Baja desert races get their own class, which is why they all have a race number that starts with ‘5’. None is more famous than the one represented by Tamiya’s radio-controlled car. The problem with the new Beetles is that they hark back to an era when cars were very different with engines in the boot and huge wheel arches. BMW on the other hand took the Mini which represented a milestone in the birth of the modern car and didn’t radically have to alter its look. If VW insist on giving the world another Beetle then it should stop looking back and look forward instead. What are you talking about ? BMW did exactly the same as VW, the New Mini and the New New Mini are also pastiches, horrid pastiches that dont deserve to use the Mini name, even though they drive better than the New Beetles cos they use a BMW chassis. Thats not what I meant. What I'm saying is that the basic styling of the Mini does not look out of place today. The Beetle with it's big wheel arches looks well out of place. Therefore when designers were asked to build modern versions the MINI lent itself well to this exercise because it is basically the template that most small cars followed since. I'm not saying that the new MINI isn't retro, but it's on the right side of retro. It's a bit like choosing between making a modern day Austin Healey 3000 and a modern day Ford Model T. I think the curves of the Austin Healey works well now. The Model T simply would not. I’m sorry to see the Beetle go. 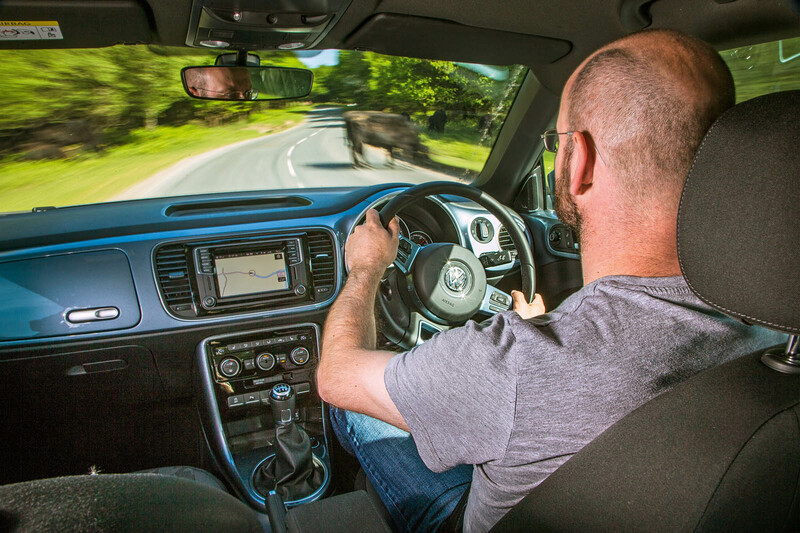 I’m a life long VW fan boy but think the current range offered is dull. At least the Beetle brightened up the showroom a bit. I actually quite like the latest Beetle, despite its flaws (such as being based on a previous version Golf). But the reason why I didn't buy one is because of VW's ludicrous trim specifications (at least in the UK). The top R-line trim looks great - like a small Porsche 911 - but it's only available with a 2.0 diesel engine! No 2.0 TSi (as was available previously), not even the 1.4 TSi from the lower Design trim level! Styling wise I've always preferred the original new beetle to the newer beetle, something about the back and proportions looks better on the older new one. Never driven either. Always thought the up! Should have been the new beetle, after all it was prototyped as rear engined, if they'd created a beetle body on their small city car I reckon it'd have sold much better. I would separate the original Beetle from its two successors. While the original was conceived as a Volkswagen (people's car) its two successors are, no more no less, retro lifestyle vehicles, without the efficient packaging of the Golf on which they are based. No matter, for each of these two retro Beetles brilliantly captures the spirit, and reinvents the form, of the original. Retro 1 takes the curvaceous exterior of the original and applies strict geometry to it (arcs, circles). The result is, like the contemporary Golf 4 which also extensively uses pure geometry in its design, a formal masterpiece. Retro 2 is a fundamentally different interpretation of the original Beetle (Unlike Mini in which each successive generation is nothing more than a slight adjustment) Gone is the strict geometry. The roof is nolonger a half-arc for example. 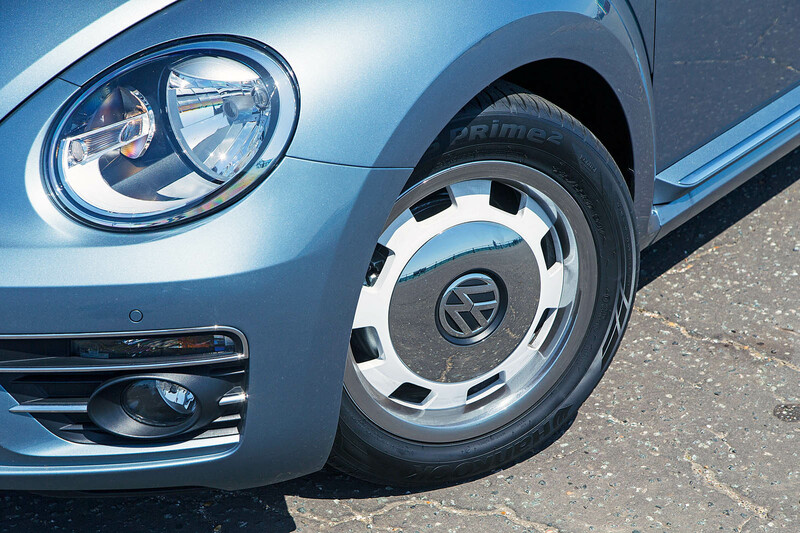 But close attention to details means that the overall shape is just as successful, with delightful references to the original Beetle like the hub caps and the dashboard. I am sorry to see Retro 2 go, that it's a commercial failure (or at least I assume so, I've seen so few in London). I hope the forthcoming electric version lives up to its promise. Now, VW, bring on the Transporter replacement. All the concept versions look great but none made production. Once again, I hope the electric version makes production. Furthermore, make a Karmann Ghia (the curvy one, not the square one) to replace the Scirocco. It is one of the most sensuously beautiful cars ever made. You can trace the 356/911 shape to the Beetle. Likewise the Karmann Ghia is substantially a Beetle coupe (The Peugeot RCZ already previews what a retro Karmann Ghia would look) Just as Golf 1 & Scirocco 1 are two related masterpieces by Giugaro, so let the next Golf also spawn a Karmann Ghia coupe. I would like a Scirocco that was a proper fastback coupe, not the last squashed Golf. I miss that 80s era of cars like the Scirocco, Quattro/coupe, Piazza, even the likes of the DeLorean was a sports car variant of a similar design theme. Apart from a roughly similar profile the current Beetle has nothing in common with the original and the original is a terrible car. No tears shed here.